Hello everyone and welcome back from the festive break! So, we’ve finally waved goodbye to 2016 – and what a year it was. Globally, we can’t pretend it wasn’t a shocker. But despite the madness raging worldwide, here at Stitched Up HQ we still managed to get loads of good stuff done. Check out our Year in review here. We’re excited to delve into 2017, so to celebrate the ringing in of a new year we’re having a MAHOOSIVE January Sale! Get 20% of ALL our workshops booked before the end of January – including beginners learn to sew courses, knitting, darning, clothes alterations and repair. All workshops are listed on our website month-by-month here. 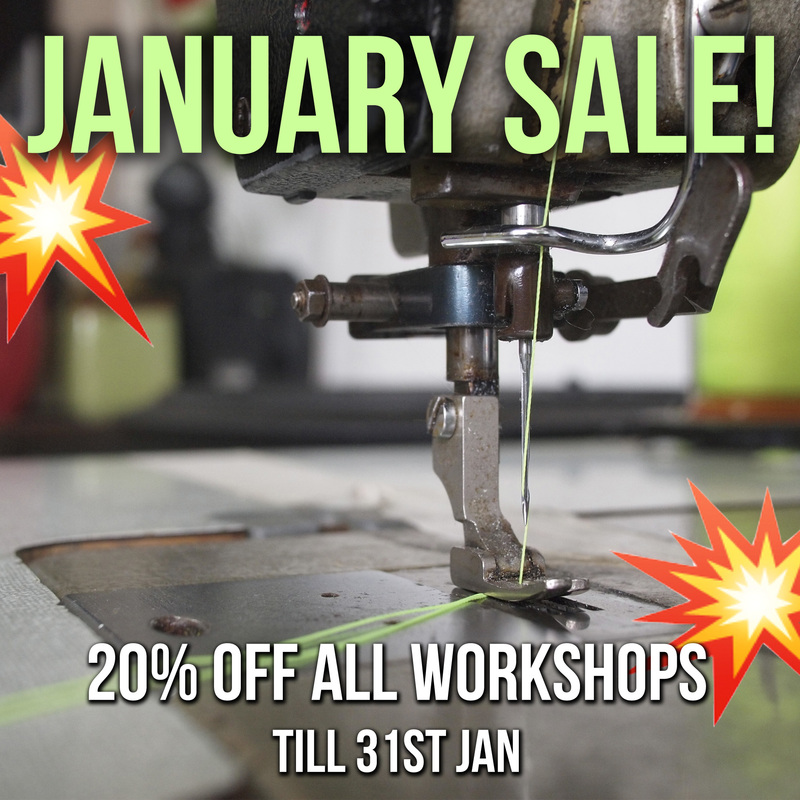 Pop over to our website to check out these and all the workshops on sale throughout January. To use the discount simply enter the code HNY17 at checkout.